The only thing that is more tedious than installing today’s complex applications is keeping up with the necessary upgrades. We can load and optimally configure all your new programmes, and make sure that all your applications are up-to-date. If your software is not functioning properly, we can troubleshoot the cause of your problems and return your system run more efficiently. Don’t waste days and weeks trying to do it yourself! Computer Troubleshooting Is What We Do Best. When your computer system goes down, you don’t have time to waste wondering what the problem is. Maybe it’s a problem with your computer itself, you think. For hardware troubleshooting, you’ve got to check with the manufacturer if you still have valid warranty. But maybe it’s an application you’re running and software troubleshooting is a whole different story and not covered by your PC warranty. Very quickly, these uncertainties multiply, and all of a sudden your life has ground to a halt. With all these questions, and with your everyday busy lifestyle, you don’t want to waste time calling a half a dozen support lines. Instead, depend on the experts at Computer Troubleshooters. No matter whether your computer hardware is faulty, or your software is corrupt, we’ll check your system up, down, left, right, inside out and sideways until we isolate the root cause of the problem. High-tech detective work is the soul of our business, and computer hardware and software troubleshooting is our passion. 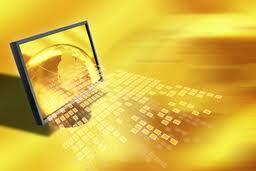 Software / Application Installation And Support Is Best Left To The Experts! Your home needs the right suite of software to keep the whole family happy, but who has time to do their own software application installation and software support, and to make sure all those applications are up to date? And as your software needs grow and/or change, how do you know what new software can best serve your new needs? At Computer Troubleshooters, our application installers are up on all the latest software, and we’ll do the job fast and and we’ll right it the first time. Whether it’s a single PC or your whole home network, we can make sure you’re running the right application in the right version, and we can eliminate any possible conflicts or slow-downs. Leaving the application installation to us means that you can put your focus where it’s going to do most good on your business or more importantly enjoying life, not on your computer network. We’ll do all the legwork of installing and configuring your new software, and then we’ll sit down with you in a training session to make sure you’re up-to-speed on all the new functions. What’s more, we’ll make sure that your software is kept up-to-date with all the necessary upgrades. In our application installation and support service, we put the focus on support, to make sure you get the most out of your software in the long haul. Whether you’re just looking for a new application to be installed fast and right the first time, or you’re looking to establish a long-term relationship to service and upgrade all the software in your home computing environment, call Computer Troubleshooters today. No one else brings the same depth of expertise to the task of finding and fixing those elusive computer problems fast. We have amassed a vast experience with every kind of computing platform and all the most commonly used applications, not to mention all the major operating systems. Drawing on that vast fund of knowledge, our highly-trained technicians are equally skilled at troubleshooting both hardware and software issues as part of our integrated, comprehensive repair diagnostics. We consider the whole picture, so that we can quickly zero in on the specific problem. Quite simply, there is no one out there that has a better track record of isolating the root problems when your system crashes to get you back up and running fast. Of course, our clients expect nothing less. At Computer Troubleshooters, troubleshooting isn’t our middle name it’s our only name.